What does it mean to be a creative marketing agency? When we were preparing to launch, there were a number of ideas floating around that could define what our agency would be. I wanted The Ultimate Creative to be something that included more than marketing and branding, I wanted it to be a true creative collective of people working together on a variety of projects, focusing on their specific skill sets. I found a few contemporaries in the city that focused on more than just marketing, and I started asking myself, what does it mean to be a creative marketing agency? 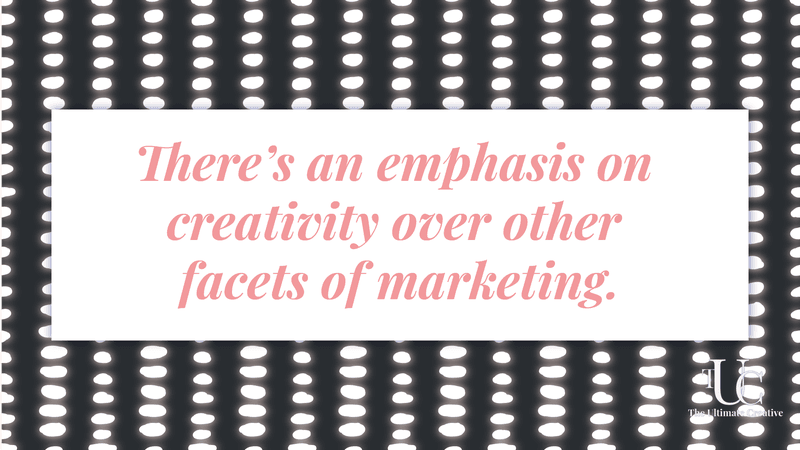 First, it means there’s an emphasis on creativity over other facets of marketing. Let me preface this by saying that marketing is inherently creative. You need to be able to think on your feet and come up with new ideas instantly, and you need to come up with different ways to be heard or seen. We all know this. Our way of differentiating was to focus on the creative side of marketing, through graphic design, fun videos and creating websites that deliver an immersive experience. I personally wanted to focus less on the technical and administrative elements of marketing, and more on the creation of interesting campaigns and brand materials. Obviously, this is where my primary skill set sits, so it’s an easy decision to make. 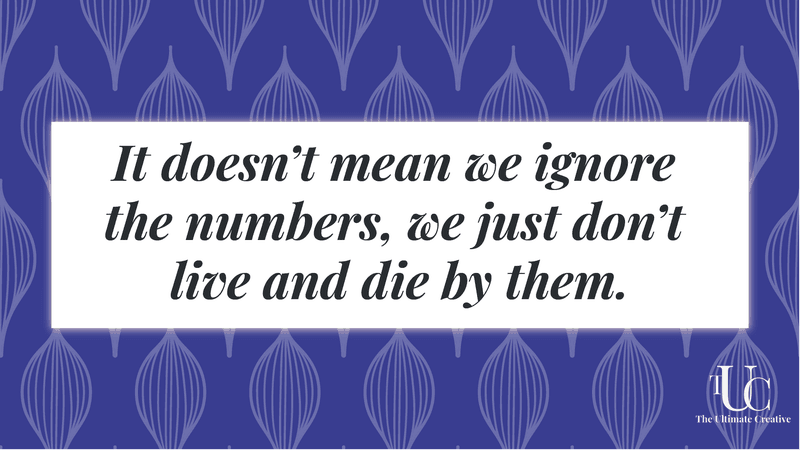 It doesn’t mean we ignore the numbers, we just don’t live and die by them. Analytics are important when it comes to making strategic decisions. If you have a very poorly performing blog post or video, it’s a good hint that your audience isn’t resonating with it. So, you might want to try something different. In my marketing career over the last decade I’ve certainly been seduced by various metrics, obsessively checking my social accounts to see how many people are following/liking/engaging with my posts. In the early days of social media it was WAY easier to make an impact on my audiences, and use these vanity metrics to gauge how much of an impact my posts were having. Over the years as the algorithms changed, tracking stats became less and less important (although the board report I submitted every quarter at my last job said otherwise). Yes. Of course it’s important to know whether your messages are reaching people. But since a recent Facebook admission revealed that their analytics really aren’t that accurate, I stopped placing so much importance on the value of the numbers. Not to mention the fact that when I check Google Analytics, Jetpack and my CloudFlare stats, none of them tell me the same thing. So, using numbers as a general benchmark has become our standard practice, if nothing but to reduce the obsessive checking. 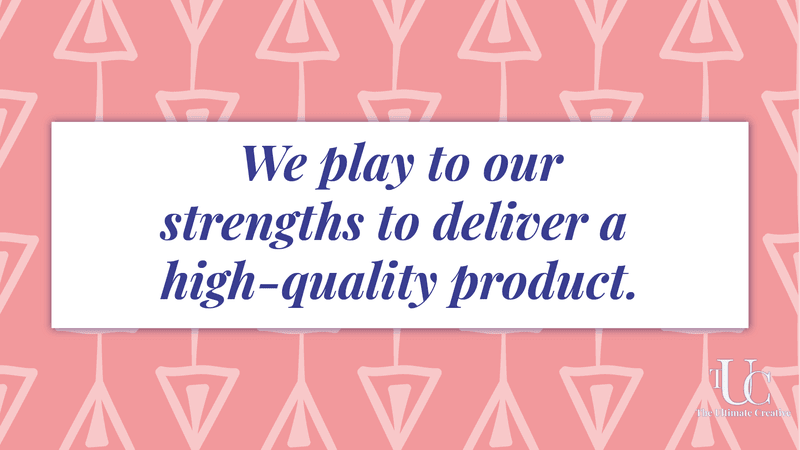 We play to our strengths to deliver a high-quality product. I have read so many blogs and listened to so many podcasts that discuss the importance of analytics and data. While these are incredibly important to the marketing mix I really never came across much that emphasized the creative side. In fact, most creative jobs postings I used to peruse paid significantly less than the research and analytics jobs. This means it’s more difficult for artistic marketers to advance – even though we bring a crucial part that makes up the whole of marketing. We want to play to our strengths at The Ultimate Creative. We are all inherently artistic people, so naturally it makes sense for us to differentiate the business based on our primary skills. We’re good at certain things, and great at others. The things we’re great at, we’ll do forever. The things we’re good at, we’ll draw on our community for. Plus, we’re happier when we do what we love doing, and that means that our clients get our best work. Learn about new service launches, get our monthly insights straight to your inbox and more!